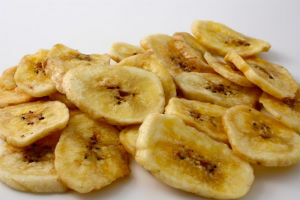 Our Organic Banana chips are dried slices of bananas. They are coated with organic coconut oil, organic sugar, and organic honey, therefore have a pleasant sweet taste. They are very popular snacks, or ingredients to your cereal, and smoothies etc.